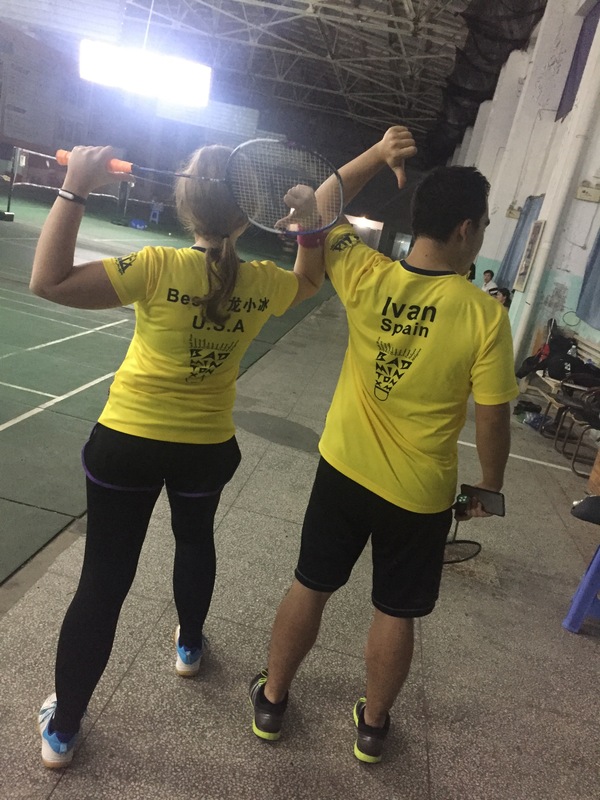 I came back from my winter holiday to my new badminton shirt! It was so exciting. The “Flexpro” on the front is the logo from the place that made the shirts, we couldn’t get rid of that. 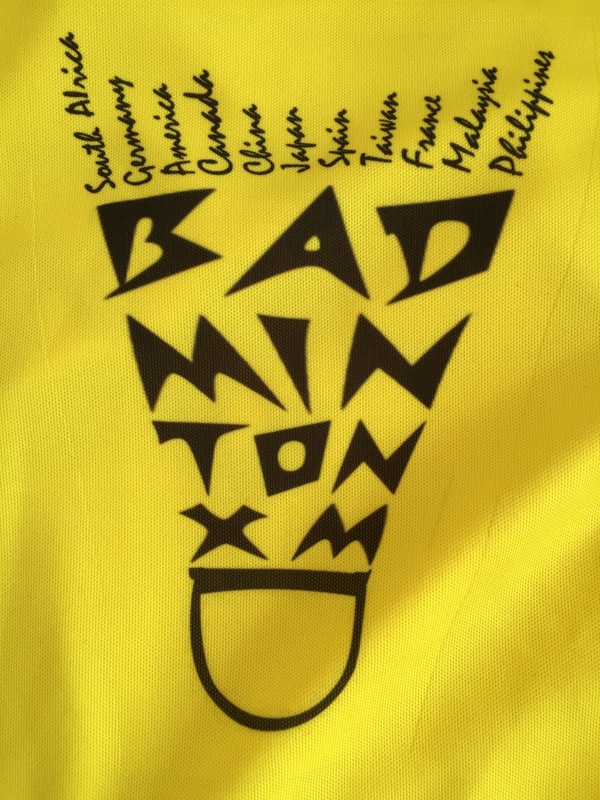 It says “Badminton XM” which stands for Xiamen, and the feathers are the names of the countries of the players in our group. Nice, right? The group had been talking about making shirts for, well, forever I guess. Long before I got there. But no one really ever stepped up and just did it. But finally Rebecca did and now we look super cool. We haven’t all worn them yet. It’s holiday time so a lot of people are gone, and some of the shirts were the wrong size, but I’m hoping to get a group picture soon. 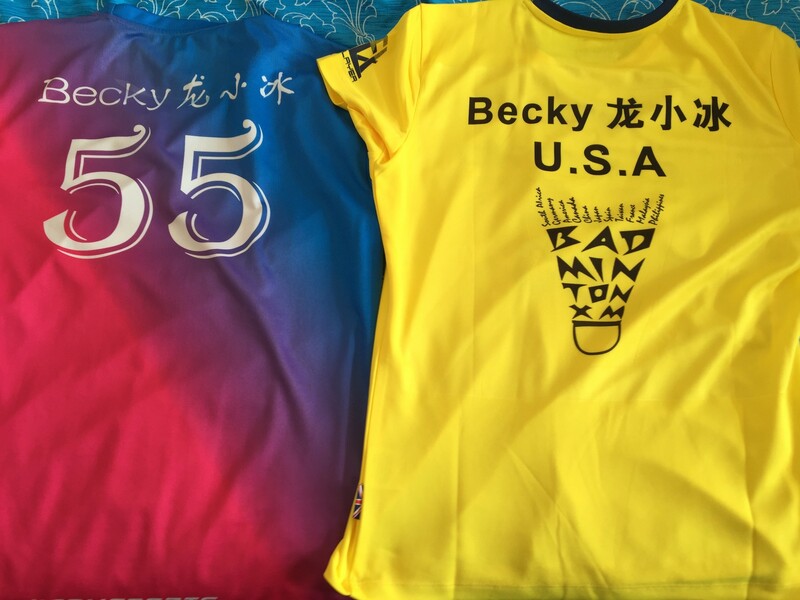 My two team shirts: Frisbee and Badminton. And why is my number 55? Well, no reason really. I just got it on my Ultimate Frisbee shirt because it was available. 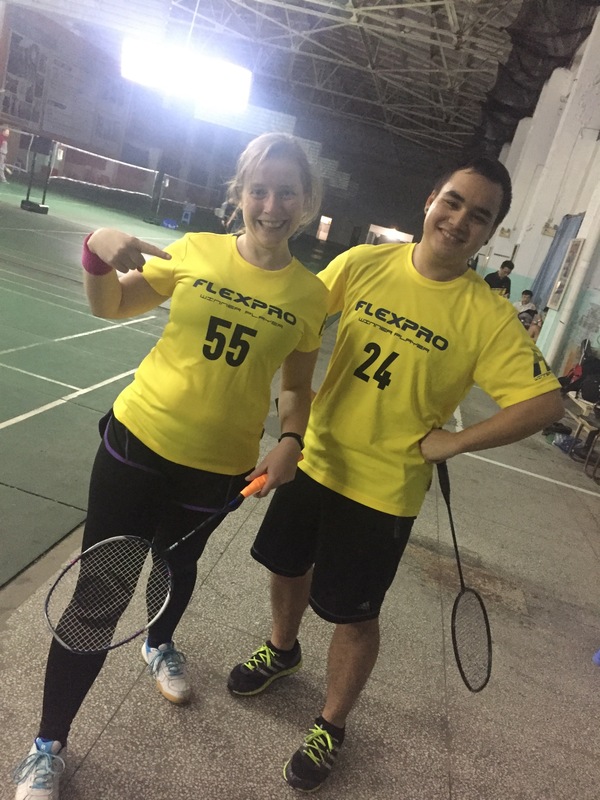 And then, of course, I had to have it on my badminton shirt because it’s my number. So while 55 had no meaning before, it does now. It’s my lucky Xiamen number.